No matter where you are in your “getting healthy” journey, pHountain is for you. Whether you are just starting out to make better health choices, or you are in high gear with your eating habits and health plan, pHountain is here to help you. We are not asking you to make dramatic lifestyle changes, but make simple decisions to take back control of your health. 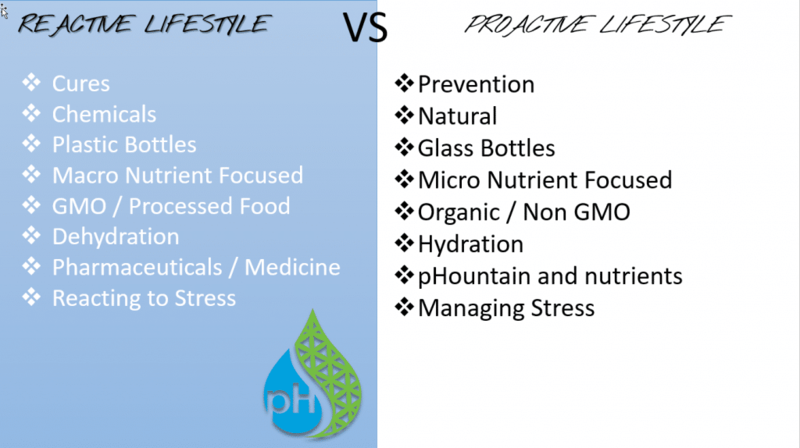 So what does a reactive lifestyle look like? First a reactive person is looking for cures after the fact. A proactive person is looking at prevention. A reactive person relies on chemicals and man-made substances to try and fix a problem, a proactive person seeks out the natural. A reactive person drinks water out of plastic because it is convenient instead of using glass which is much better. A reactive person focuses on macro nutrients, (Carbs, fats, and proteins) while a proactive person is micro nutrient focused. Things like vitamins, minerals. 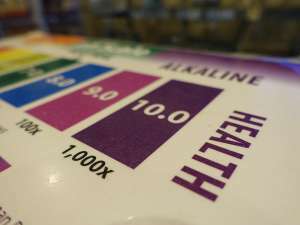 As a matter of fact most nutrient deficiencies are on the micro level. A reactive person eats whatever is available with no thought to how it was manufactured or processed. A proactive person looks for organic and non-genetically modified food the way nature intended it to be. The pHountain Lifestyle starts with a simple evaluation at one of our stores. We will help you clarify your health goals and then layout a simple and easy plan to help you accomplish those goals. 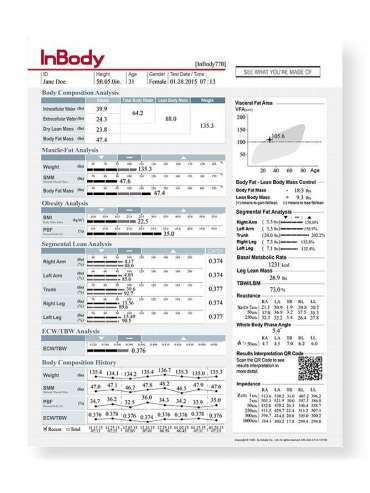 We can also provide you with a comprehensive body composition analysis and give you a starting point. 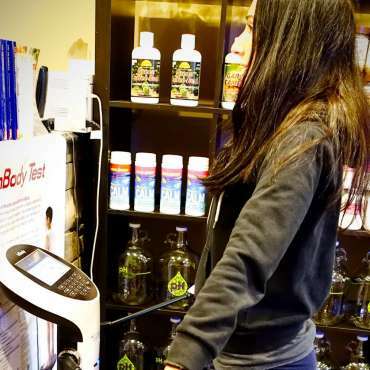 Muscle-Fat Analysis uses bar graphs to provide a comparison between weight, skeletal muscle mass, and body fat mass. The lengths of the bar graphs indicate the relationship between the current weight to the average value for that specific segment, based on the examinee’s height. Therefore, an individual with a score of 100% is the average weight for their height. The horizontal bar graph shows examinee’s current body weight in relation to the average weight for their height. The numbers next to the bar graphs indicate the examinee’s body weight. Average weight is based on the BMI Standard Weight Index. An individual with 100% skeletal muscle mass (SMM) has the average amount of muscle for someone their height. The normal range for SMM is 9-10%. Body fat mass represents all the fat molecules an individual has in their body. A person with 100% body fat mass has the average amount of body fat mass.